This purchase includes 50 test items divided into five tests. These tests will be available to your students for a period of one year. This purchase includes 50 test items divided into four tests. 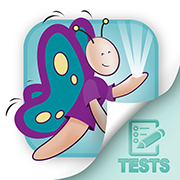 These tests will be available to your students for a period of one year. This purchase includes 95 test items divided into six tests. These tests will be available to your students for a period of one year. This purchase includes 30 test items divided into three tests. 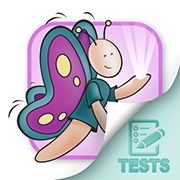 These tests will be available to your students for a period of one year. This purchase includes 32 test items divided into three tests. These tests will be available to your students for a period of one year. This purchase includes 20 test items divided into two tests. These tests will be available to your students for a period of one year. This purchase includes 30 test items divided into two tests. These tests will be available to your students for a period of one year. This purchase includes 46 test items divided into four tests. These tests will be available to your students for a period of one year. This purchase includes 23 test items divided into two tests. These tests will be available to your students for a period of one year. This purchase includes 60 test items divided into five tests. These tests will be available to your students for a period of one year. This purchase includes 40 test items divided into four tests. These tests will be available to your students for a period of one year. This purchase includes 62 test items divided into six tests. These tests will be available to your students for a period of one year. Prepare for the NCLEX exam by having EDGT's entire test bank at your disposal. 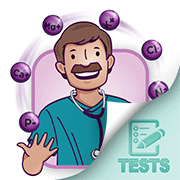 This test randomly picks 50 questions from our entire library of tests to help you prepare for the NCLEX exam. 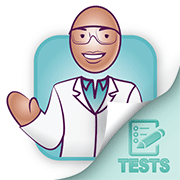 This purchase includes 40 test items divided into four tests and a sample NCLEX-RN Exam which randomly select 50 questions from our test bank library of over 1,000 test questions. These tests will be available to your students for a period of one year. This purchase includes 78 test items divided into seven tests. These tests will be available to your students for a period of one year. We have completed a major update of this tutorial! The good news is, if you already subscribe to this tutorial, you will receive the update free of charge! If you have not subscribed to this tutorial, you can receive it at a discounted price of $225 through January 1, 2019! Ethical & Legal Issues in Nursing!! Introduce your students to basic ethical and legal issues in nursing practice. Subscribe to another best selling tutorial for a great price! Want to receive updates on our specials?